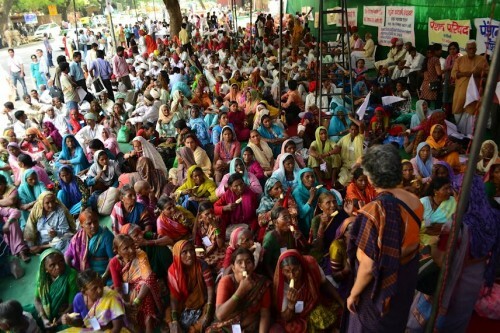 The 15,000 waste pickers of Bangalore, India, had an end of the year victory. Bruhat Bangaluru Mahanagara palike (BBMP), the local government, is going to provide social security benefits to the waste pickers. Waste pickers and their children have the right to an education! Kagad Kach Patra Kashtakari Panchayat (KKPKP), a registered trade union of waste pickers based in Pune and Pimpri Chinchwad, organised an awareness programme for its members on January 2 2013, to familiarise them with RTE Act, and particularly to discuss with them how to make best use of the provisions of the 25% reservation quota for children from deprived backgrounds. 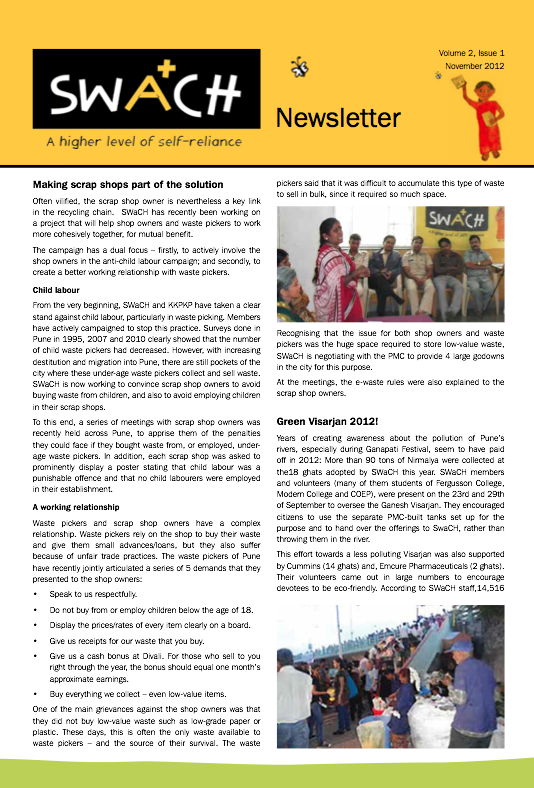 Check out SWaCH waste pickers’ cooperative November 2012 Newsletter. Read articles about waste pickers working with scrap shops, pianist Kimball Ghallager making music with SWaCH, E-waste programs in schools across India, waste pickers keeping Pune’s rivers clean, and much more. 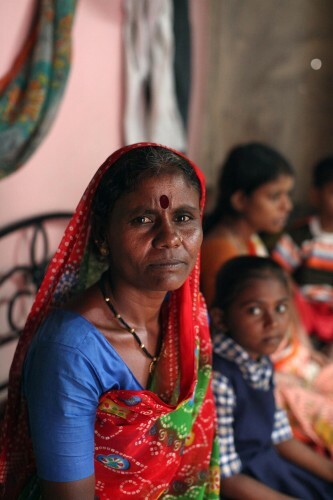 Download the SWaCH Newsletter Issue 5 in English or in Marathi.